Poor client communication – this may be a sign that your client is becoming dissatisfied with the project manager and team or something involving the project. New resources are being assigned – new resources are being assigned to your project from within the organization…and you didn’t request them. This could be a sign that senior leadership is concerned with the health of the project and are taking their own measures to fix things….be concerned. Many change orders – may be a sign that requirements were ill-defined and you’re going to continue down this painful path. If you can’t seem to keep the project budget on track, that’s a big sign that your project is in trouble – at least in trouble of being deemed somewhat of a failure. From my experience, an overage of 10% is often correctable…and it is usually within the ‘acceptable range’ when evaluating success at the end of the project. But when the budget starts approaching 20%, 30%, 50% or beyond over budget…then you know you have real problems and it’s basically going to be impossible to correct it. They key is to be monitoring the project budget every week throughout the engagement to ensure you never are too far out of alignment. The earlier you can raise the flag and let everyone know there are financial issues on the project, the sooner you can take corrective action and the more likely you are to be able to rein the budget back in. This one sounds similar but is very different from poor client communication. 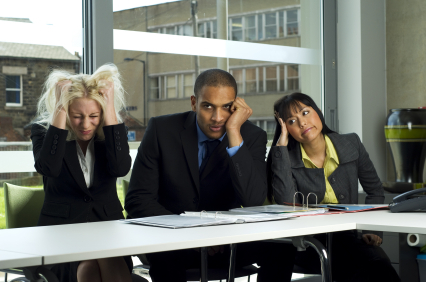 Problems with communication can mean your client is upset with the project manager or team. 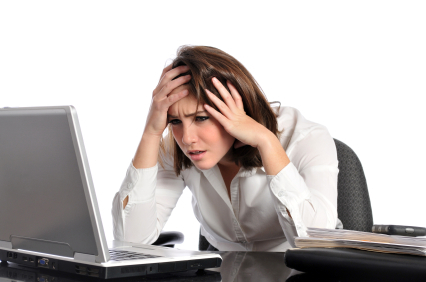 Poor engagement means they have lost interest or involvement in the project. And that one is more scary. The poor engagement may be a sign that the project has lost most or all of its importance and priority with the customer...meaning the next step may be a cutoff of funding and a swift cancellation for the project. And finally, if your project sponsor becomes less involved or disappears because other work priorities are taking all of his time then where does that leave this project? And what happens when you need access to him for weekly status call participation or for that quick decision that needs made on a moment’s notice? A disengaged customer – while it may sound like a luxury to not have them breathing down your neck – is actually a bad thing and can cast a shadow of uncertainty over the entire project engagement. No one likes change orders – except maybe the execs in your organization because change orders often add revenue to the project. Change orders usually mean more revenue for the delivery organization and possibly even an increased profit margin. However, historically they are not something the client is fond of. If your project begins to experience lots of change orders, then it may be a very clear sign that you started work on the project too early with requirements that were not fully defined. 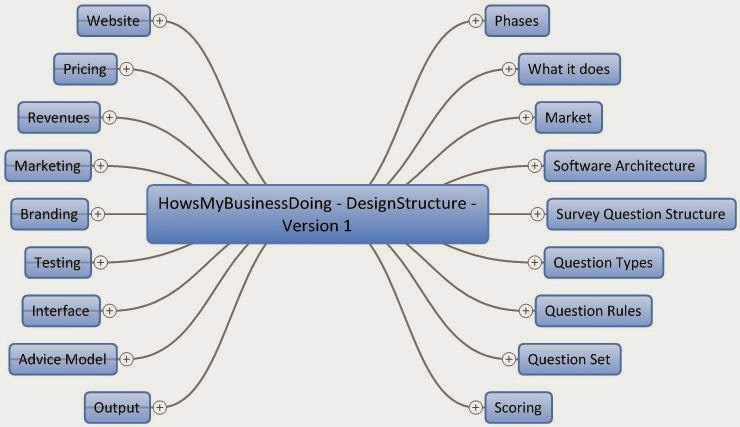 Is it time to revisit scope – possibly even go back to mind mapping software - and see what was omitted and discuss what other changes may be needed in order to truly meet your customer’s needs? A never-ending stream of change orders have frustrated more than one customer in the PM world enough to just cancel the project outright. I’ve seen it happen, so address the gaps as soon as possible. How about our readers? What signs have you noticed to be indicators that your project may be in trouble? What actions did you take to try to correct the situation? How successful were your actions? Projects fail for so many reasons and the likelihood for true project success has routinely been documented as being less than 50%. While we can't generate a list that is comprehensive enough to encompass all possible signs, causes, and reasons for our many project failures - there aren't enough minutes in the day to do that - we can focus on and be aware of some of the more common signs that our projects are headed south. Whenever client communication goes south it’s a huge cause for concern for me. To me, the first thing that comes to mind is that the customer’s satisfaction level has decreased and they are planning a response of some sort that may not involve a discussion with the actual project leader – you may soon get called into the CEO’s office and that’s never fun. If you notice that communication with the client has dropped off significantly, take immediate action to engage the project sponsor and discuss the situation. Be direct…is there a problem, an issue, are they upset about something? It may just be that they are temporarily busy or experiencing some sort of re-org or change internally that doesn’t affect this project, only your project sponsor’s immediately availability for project involvement. That’s ok…you can work around that. But if there are real issues on the project side with how the project is going, make it clear that you want to discuss it with them and try to address any issues as quickly as possible. This one is scary because it starts to happen without your knowledge. I’ve not had this one happen to me, but I’ve seen it happen to colleagues and it’s definitely a sign that there is some uncertainty concerning the project at a high level. Either your executive management has concerns or your customer has concerns and has gone around you to voice them to your senior leadership…or both. But either way it’s a bad sign for you and shows that there is some concern about your leadership of the project. You must take action fast – the wrong action is to do nothing. Immediately ask why and be ready to respond with your list of project issues and project status and how you’re currently pro-actively attacking any concerns on the project. Sit down with your team and use a tool like mind mapping software to map out the issues on the project in a visual manner so you have something to show your executive team. Your executive management may be completely unaware that you are working pro-actively on whatever might be ailing the project and this will be a great time – and your only chance – to let them know that you are ‘on it’. In Part 2 of this two part series, we’ll examine my next three signs that your project may be in trouble and potential actions to take in each case. 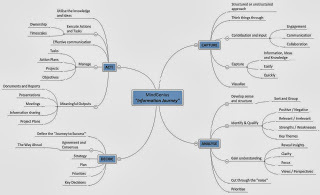 In Part 1, we began to look at a workable five step scenario for setting up a requirements prioritization process, prioritizing project requirements and then managing those requirements with the help of the assigned priorities throughout the course of the project engagement. We examined the first two steps in the five-step process. In Part 2 we’ll examine the final three steps and I welcome your thoughts and feedback on if you find prioritization helpful or necessary and how you go about prioritizing requirements if you do incorporate that as part of your process. Resolve inconsistencies. 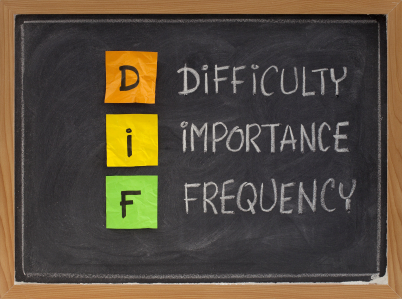 Once everyone has had a chance to do their prioritization, resolve the differences. Start by throwing all of the requirements that everyone has ranked the same into the appropriate bucket. That is, if everyone prioritizes requirement A as a 1, it’s definitely a 1. 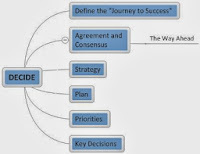 Then, move to building a consensus on the requirements that different people prioritize differently. Get the stakeholders together, and show them the requirements that they agreed on and then the ones that they ranked differently. Often, people will find agreement after some informal discussion. If not, note who is disagreeing. When you are managing development of a product for a particular customer, that customer’s prioritization should usually carry the most weight in the discussion. If a strong disagreement continues over a particular requirement’s priority, put the requirement in the higher class to stop the debate. If you have a single holdout insisting that requirement D is a 1 while everyone else thinks it’s a 2, go ahead and put it in class 1, with a note to put it behind the other priority 1’s in the schedule. Keep the process simple and speedy. At this stage of your product, you don’t know enough to find a perfectly optimized solution anyway. 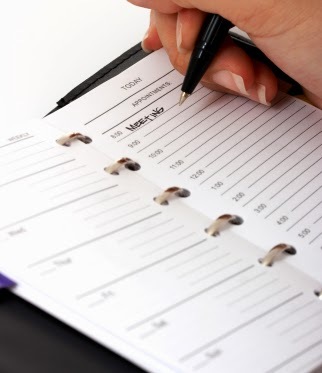 Create a priority-based project schedule. After you have a set of priorities, use them to create priority-based development schedules. Show everyone where work begins and ends on each requirement. This information helps you define intermediate products or “releases” containing the high-priority requirement implementations. These schedules will also help your developers synchronize work on particular requirements. Maintain the priorities throughout the engagement. Throughout the development effort, you must maintain the priorities. You don’t finish with prioritization until you finish the last version of the product or implement the last phase of the project. Revisit them as the team – with the customer as needed. 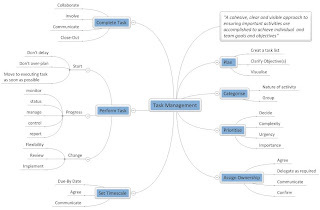 Go back to what you laid out in your mind mapping software and see where adjustments may need to be made along the way. You may find that tradeoffs will have to be made along the way during design and development of the solution to make sure that the priorities are still driving the effort on a realistic overall project schedule for the solution. When the customer brings new requirements (and they always do) that require deferring some old requirements, you will need to work with the team and customer to review and re-assess the priorities given to key requirements to be sure that the most important requirements are kept on the critical path and the lesser prioritized functionalities are the ones pushed out or potentially discarded altogether. That’s my five-step process for prioritizing project requirements. I admit that I don’t use it on every project – just the ones where I feel…and the team feels…that it will be helpful. Any lengthy project really needs this type of process incorporated and complex projects that run the risk of several change orders, potential scope issues, or very tight budgets that are going to be difficult to keep on track are all candidates for this type of oversight. How about our readers – do you use a process to prioritize requirements? Do you do it for all projects or just a select few? Please share your thoughts and experiences. 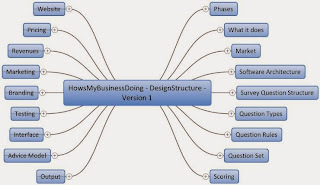 Mind Mapping Software is being extensively used in the Financial Planning industry to help identify client goals, values and objectives, capture, structure and document financial data, and to improve the entire client engagement process. Michael Kitces is a high profile expert and commentator in the Financial Planning industry and he explains below how using mind mapping creates an opportunity to create a more genuinely differentiated experience from the competition, and can lead to a far more engaging client experience. The article below is an excerpt of a full article that can be found at Michael's blog. As financial planners seek out differentiation in an increasingly crowded environment, a new trend is emerging towards the use of more interactive software tools to provide a more engaging client experience. While many of these new approaches revolve around the use of financial planning software live with clients - replete with quick data entry support and sliders for clients to manipulate the goals and see immediate impact - the reality is that even the old-fashioned data gathering meeting represents an opportunity to use technology to better engage new clients, and the tool of choice appears to be the mind map. 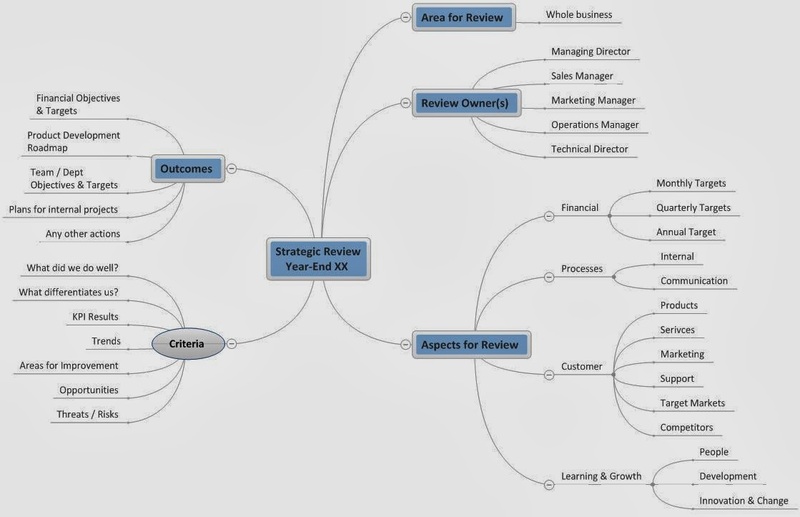 Although mind mapping has been used in other business contexts - from keeping personal thoughts organized to creative team brainstorming meetings - the tool may be especially appealing for financial planning, as it not only visually captures a lot of client information that is otherwise hard to see all at once, but it does so in a manner that provides a tangible deliverable to what others is some of the most intangible "shadow work" that we do for clients. 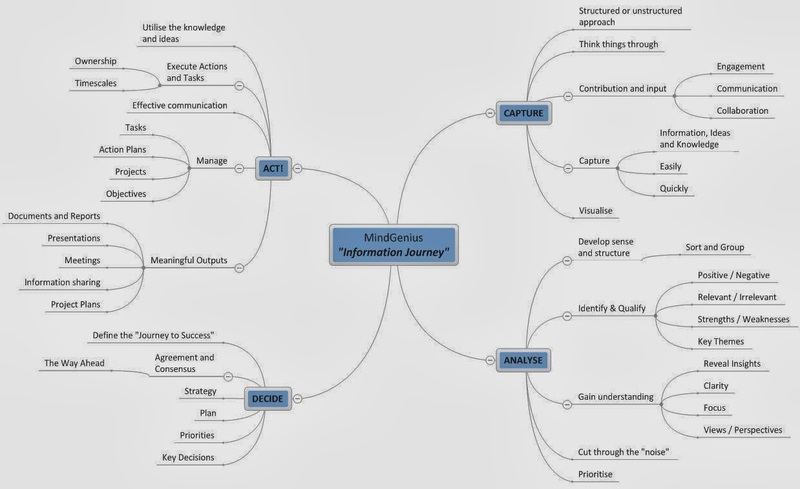 Whether as a way to justify fee increases, or simply to increase the firm's value proposition, adopting mind mapping becomes an appealing way to create perceived value for work that is ultimately useful for clients but also time-intensive and often unrecognized. 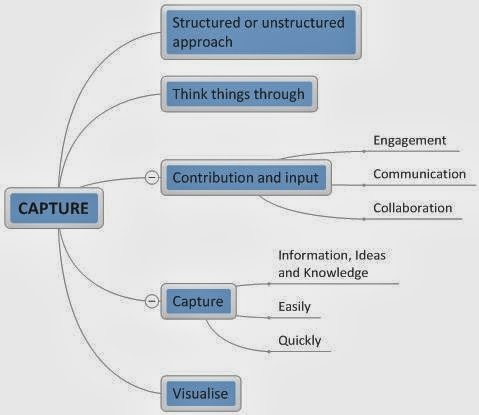 However, the mind mapping tool doesn't have to be used in a purely business context. It can also be effective as a way to complete the data gathering process in a financial planning context. For instance, imagine the template below on a large monitor in your conference room, visible to both the planner and the (new) client. Ultimately, the branches below simply represent areas in which the planner might ask typical discovery questions, from technical areas like tax and investments to more personal questions around communication issues, the family's estate plan, or their goals for family education. 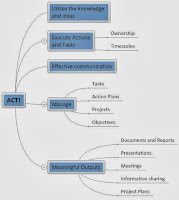 As the conversation progresses with the client, the information from the client's answers is not merely scribbled down by the planner on a yellow pad for only the planner to see; it fills out the mind map with the client directly engaged in the process in a more build-a-plan oriented experience. 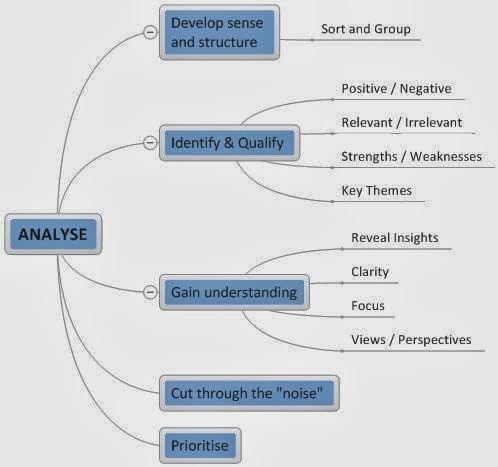 Imagine it from the client's perspective - the client actually get to see his/her financial life take shape in the form of a mind map before their very eyes! 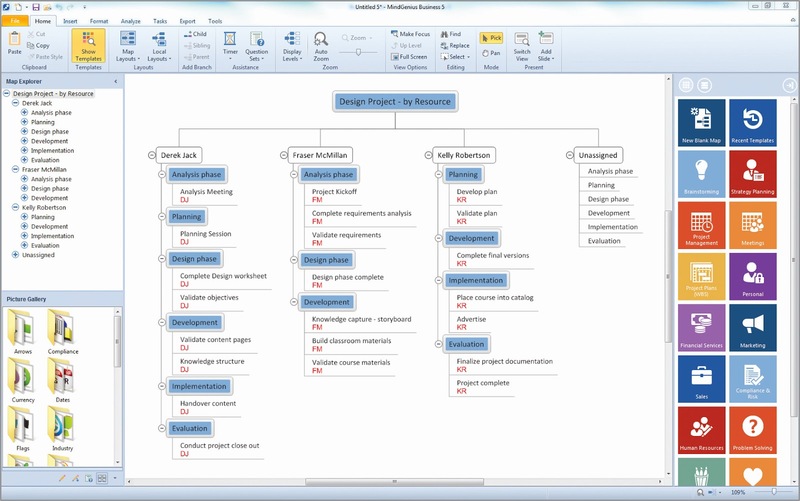 MindGenius Ltd are pleased to announce the release of Version 5.1 of their mind mapping software, MindGenius. This release is a maintenance release and a free update for all MindGenius Version 5 customers and can be downloaded from: www.mindgenius.com/Support/Downloads.aspx. 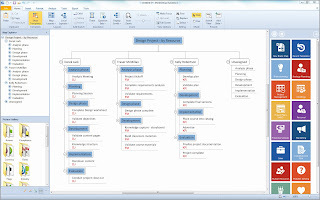 We have also taken the opportunity to include some small enhancements in this release including the ability to multi-select tasks in the Gantt View, copy & paste MS Excel cells directly as map branches, the addition of Categories to the left hand Properties Pane and added some new templates to the WBS and Schools sections of the Templates Pane. 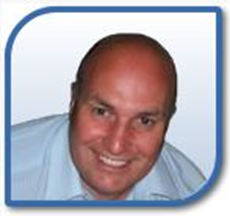 If you are an existing V5 customer, simply download the latest trial version of MindGenius from www.mindgenius.com/Support/Downloads.aspx. This will automatically update your installation. There is no need to uninstall earlier versions of MindGenius 5 and your product will still be activated. 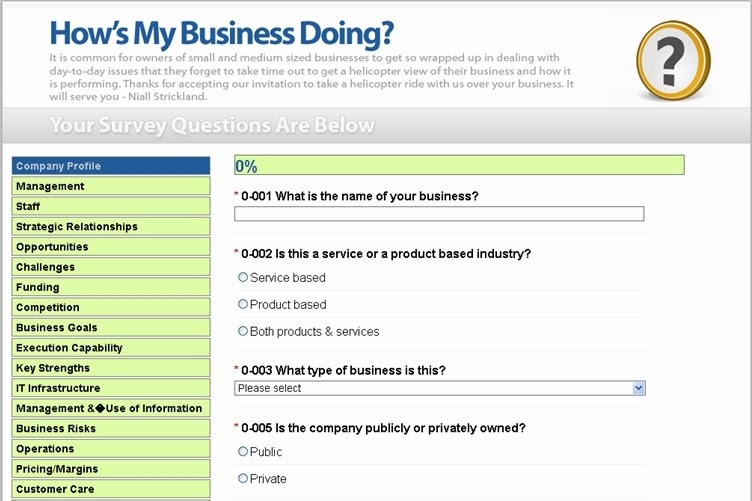 If you are new to Version 5, visit www.mindgenius.com/Business-Download.aspx to download a free trial. Even if you have downloaded a trial of previous versions of MindGenius, this will give you another 30 day free trial version. Visit the MindGenius website for additional information on features included in MindGenius 5. 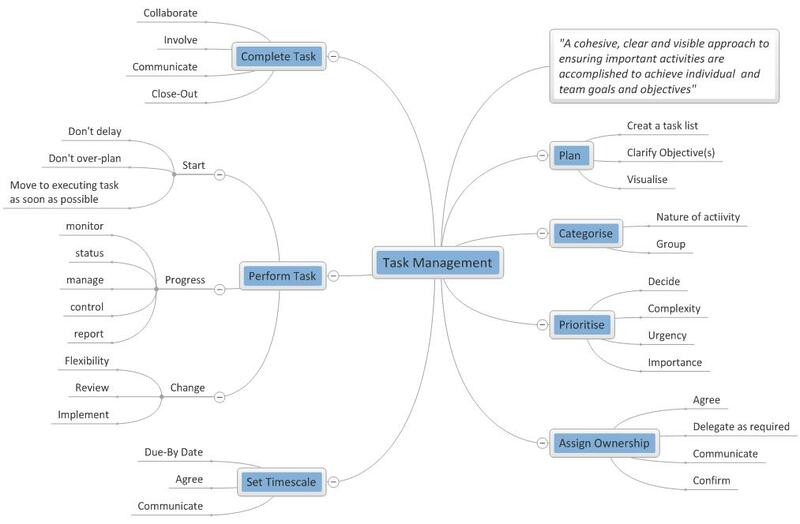 What process do you follow for task management? How does MindGenius fit into that process?